Silhouette was French Controller General of Finance for little over eight months between 4th March and 20th November 1759. He came to post in the middle of the Seven Years war and was immediately forced into drastic measures to raise funds, including the widespread imposition of duty on luxury items, from tobacco through to carriages, lackeys, wallpapers, silks and gold and silver plate.The well-to-do also feared for their pensions. Despite the fact that he was widely regarded a progressive figure, his actions inevitably provoked protest. A barrage of satirical pamphlets, chansons and caricatures poked fun at his supposed austerities. Amusingly pared-down garments and objects were produced; from plain print dresses to breeches without pockets and snuffboxes of rough wood. 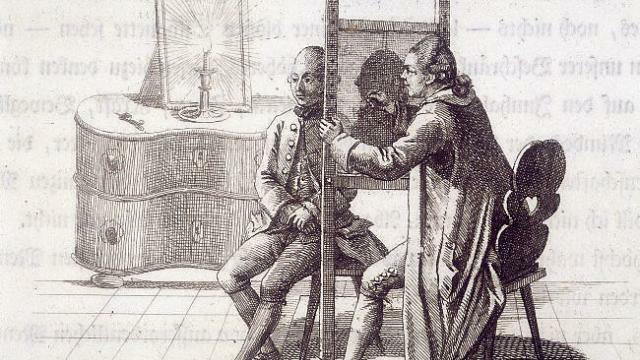 It was at this point that his name became definitely attached to portraits à la Silhouette. p.71-2: In England a clamour would have been raised against the Minister; and a commotion would have laid him under the necessity of signing his place. Agreeably to our temper, which is less serious than yours, we diverted ourselves at the expense of the reformer. Some songs and pasquinades delivered him up to the raillery of the people of the Capital and of the Provinces. Fashion seized his name, and inserted it in the new bills of the shops near the Palace (ie. in the arcades of the Palais royal). Everything appeared à la Silhouette. The several artisans aggravated the charge through emulation. The very name became ridiculous. There are few instances of a reputation so suddenly lost. Compare also Barthélemy François Joseph Mouffle D'Angerville Vie privée de Louis XV (vol. 3 1781) p.221-2 on portraits and culottes à la Silhouette: The outlines of the former traced from a shadow and the lack of a fob (gousset) in the latter provided the epigram: they indicated the point to which the Controller General had reduced individuals and their purses. In the 19th century the idea became current that Silhouette himself had invented or popularised the new art form. Guy-Jean Néel has squirreled out a temptingly circumstantial account from the Journal Officiel de l'Empire Français for August 1869 which claims not only that the former Controller-General enjoyed making silhouette portraits, but that the walls of several rooms in his chateau at Bry-sur-Marne were covered with them. Sadly the chateau was completely destroyed by fire in 1871, so if Silhouette ever made or collected the pictures, no trace remains. 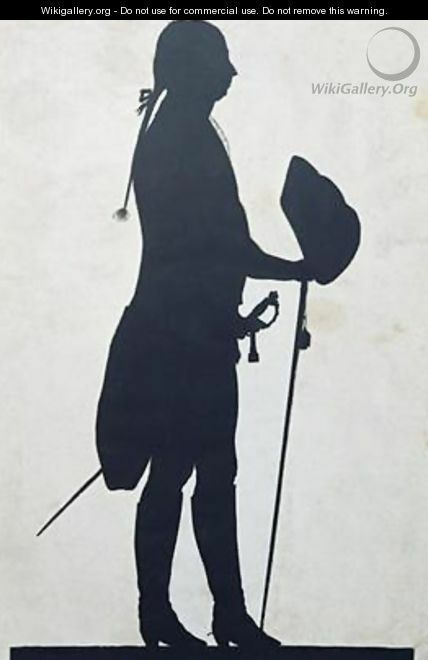 Emma Rutherford, Silhouette: the art of the shadoww (Rizzoli 2009). Emma Rutherford explains how the term "silhouette" was introduced to England in the work of Johan Caspar Lavater and Henry Fuseli. It was popularised in the early 19th century in England in the work of Auguste Edouart.